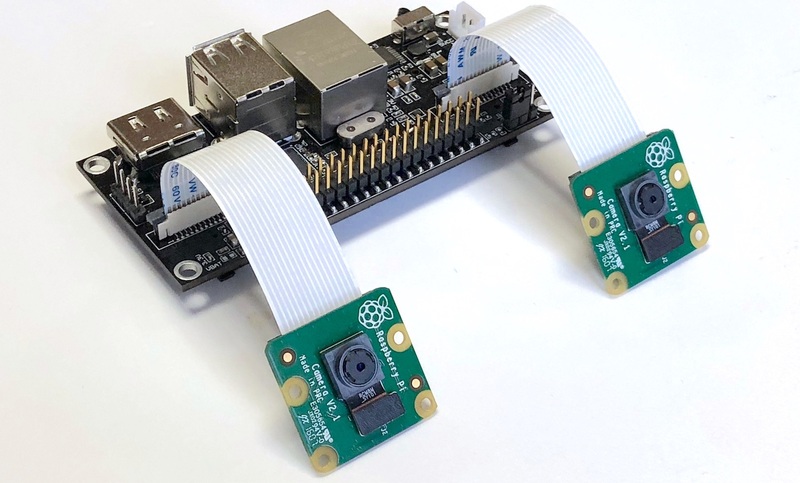 "If you have classic Raspberry Pi with the camera, you can repeat all our video livestream experiments. Livestream to YouTube, Android and Oculus Go. Also you can repeat our behind-the-scene experiments with video livestream to WIndows desktop, Mac…"
"Tiziano, thank you for your great manuals!" "A little update: our campaign is now live https://www.crowdsupply.com/virt2real/stereopi"
"So, yesterday we started our crowdfunding campaign. If you're curious - look for details here: https://www.crowdsupply.com/virt2real/stereopi"
"Whoops wrong link, sorry about that. I meant this version that connects to the full size pi CSI. https://www.adafruit.com/product/1937 "
"Andrew, this camera is for Pi Zero. As you may know Pi Zero have a smaller connector for camera ribbon, and also camera have another type of a ribbon itself. So cameras for Zero are not compatible with classic Raspberry Pi and vice versa. StereoPi…"
"Would it be compatible with this type of camera? https://www.adafruit.com/product/3508"
"Andreas, for full set with Raspberry Pi Compute module and two V1 cameras expected price about $120, and the single board starts near $70. " "upd> Thomas, our product is open source. We will open all schematic and PCB drawings, so you can use and modify it for your purposes. The only thing is not-opensourced in our project is Raspberry Pi Compute Module, hardware is closed by Raspberry…"
"Hello Thomas! This post is just update for my June post, and I put a link in the header. I just want to say about our progress and additional experiments we conducted. You are right about drone-related usage, it's my fail not to highlight it in…"